Commercial Members | Massachusetts Tree Wardens and Foresters Assn. Massachusetts Tree Wardens and Foresters Assn. What Is a Tree Warden? Who Is My Tree Warden? Company Services: Large tree transplanting, tree appraisal and proposal services, suppliers of large trees, Visit our mature tree farm. Staffed with Massachusetts Certified Arborists. Company Services: We provide simple solutions for difficult access. Our CMC tracked lifts offer compact dimensions and incredible reach in a very lightweight package. These lifts are safe, easy to operate, are fast and fun. They are the solution for difficult and previously impossible situations. CMC Tracked Lifts are articulating, track mounted, aerial lifts. We also offer our line of articulating loaders designed to fit in small places. Small packages, big reach. Company Services: Since 1989, the professionals at Allscape Tree and Turf Services, Inc. have provided tree removal, tree preservation, and landscape installation services for the South Shore and the Upper Cape. Company Services: Professional tree services for residential and commercial customers including: complete tree trimming and removal; lot clearing and stump grinding. Firewood. Fully insured. ArborTech provides services to homeowners and businesses throughout Hampden & Hampshire Counties. Company Services: Bartlett was founded in 1977 by Aldo Bartlett as a professional construction company focused to serve the public property owners of Massachusetts in the repair and restitution of roadway appurtenances damaged in vehicular crashes. 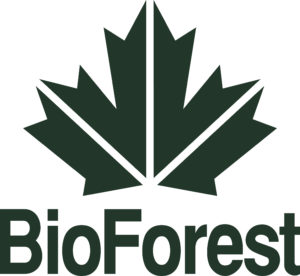 Company Services: Established in 1996, BioForest specializes in innovative product development, and consulting strategies for urban and commercial forest protection. BioForest is the registrant of TreeAzin® (EPA Reg No. 82996-1), a plant-based systemic insecticide that provides protection against emerald ash borer and other insect pests in the United States. BioForest also developed the industry leading EcoJect® System, a microinjection system used to apply TreeAzin into high value trees. Company Services: Vegetation management, composting & wood recycling services, screened loam, and catch basin clearing. Company Services: A full service tree company using cutting edge technology executed in the time-honored traditions of quality, safety and diligence. Our certified arborists, landscape designers and technicians are experienced and educated professionals, committed to preserving and improving your environment. Your concerns are our concerns. We work with you to develop detailed, viable solutions to specifically answer your needs, leaving you secure in the knowledge that you have received the best results the green industry has to offer. Company Services: Staffed by MAA, ISA, and TCIA Certified Arborists and Tree Safety Professionals, Cicoria Tree and Crane Service has been caring for Boston’s North Shore Trees since 1984. Management programs include: insect & disease suppression, large shade tree & ornamental pruning, cabling & bracing, fertilization & soil management, root collar excavation, large tree moving, & tree removals. ANSI A-300, Z-133, and ISA Best Management Practices dictate our work standards. Company services: Davey Resource Group (DRG) offers urban and utility forestry management and natural resource consulting services throughout New England. DRG’s services include: tree and forest canopy inventories, urban forestry management plans, tree preservation planning, ecosystems analysis and mapping, and ecological restoration and mitigation. DRG is the leader in urban forestry and has provided expert consulting to a wide variety of clients, including municipalities, parks, cemeteries, golf courses, and utilities. A Connecticut tree service company whose strength comes from our relationships with customers. Our certified arborists take great pride in their craft and approach your project with the care and professionalism you deserve while delivering expert results. Company Services: Favreau Forestry has the experience, expertise and drive to complete all phases of tree work in a timely manner that will exceed our customers’ expectations. Our company’s old school beliefs of trust, customer satisfaction, hard work and reputation will be apparent from our first contact to the completion of the job. Favreau Forestry is aTCIA Accredited company MA-025 and a vendor on Massachusetts FAC77 statewide contract. Our team consists of crew members that are ISA Certified Arborists, CTSP, EHAP certified, OSHA 10, CPR and First Aid certified. Services include tree removal, tree trimming, structural pruning, land clearing, selective clearing, hazardous tree removal, stump grinding, and more. Company Services: This family-owned, professional tree firm offers a full range of tree care options to all of Cape Cod and the South Shore, since 1997. Company Services: G. Bourne Knowles Co. is a complete tree and landscape company that services South Eastern Mass, Cape Cod, Metro Boston and Rhode Island. Family owned and operated since 1961 ensures consistent quality and value for your investment. Company Services: We’re dedicated to safety, outstanding tree care, and complete customer satisfaction. Many years of experience, high standards of workmanship, dedication and quality of services result in superior performance in tree removal, tree pruning & trimming, stump grinding, crane/bucket services, storm damage, and land clearing. We offer 24-hour emergency tree service 7 days a week. Green Trees Arborcare Inc. is a certified member of the Tree Care Industry Association. HAMILTON TREE & LANDSCAPE INC.
Company Services: Jeffrey S. Hamilton Tree and Landscape, Inc is a local, owner-operated, supervised and franchise-free business with 32 years experience in the tree and landscape industry. We take the time to understand your specific needs and educate our many satisfied customers toward the best possible solutions for their properties. Company Services: Muni-Tech, Inc. is a Massachusetts Department of Transportation Pre-Qualified and Approved Contractor, specializing in the handling of insurance-related property damage claims, also known as Accident Recovery. Simply stated, if someone hits your property with their motor vehicle, Muni-Tech will fix your property, at no cost to you. We will negotiate payment for our work through the insurance carrier of the vehicle owner. A family owned and operated, full service tree care corporation serving Rhode Island, nearby Massachusetts and Connecticut. With three generations of Tree Care Professionals operating with fully licensed and insured arborists, North-Eastern Tree provides superior personnel and equipment to accomplish all phases of tree care. RACE MT TREE SERVICES, INC.
Company Services: For over 35 years, providing professional tree care to the landscapes of The Berkshires in Massachusetts, Connecticut, and New York. We maintain the health and structural integrity of trees for clients with concerns related to construction, decline, disease, or insect problems, property lines, identification, safety, storm damage, and water issues. Company Services: Founded in 1986, Stanley Zuba started Stanley Tree Service company out of the back of the trunk of his car with a single chainsaw and a climbing strap. From that point forward, Stanley Tree Service has set its roots in Blackstone Valley’s community while never forgetting everyone else. Company Services: pruning, removal, stump grinding and cabling on residential and commercial properties.The certified arborists at Stumpy’s Tree Service are up-to-date on the latest techniques and proper safety methods in removing trees. A continuously reliable company using high-grade equipment and the best tools, Stumpy’s has been a family-owned-and-operated business since 1976. Our company owner is always involved, and treats every customer like family. Company Services: TDL Tree Service offers a variety of services designed to improve the appearance and health of your property’s plant community. You can choose a full plant health care package or select individual services as needed. A complete package includes yearly fertilization and pruning, with periodic plant health check-ups. Our work conforms to third-party quality standards, where applicable. Company Services: A private tree company located in Holliston, MA, a western suburb of Boston. Since 1981 our company’s mission has been tree preservation. We work with property owners and professionals to develop action plans to extend the life of their plant collections. This is accomplished through education by our consulting arborists, high quality fieldwork by our dedicated and distinguished arborists, and professional planning by our vegetation management specialists. Company Services: Tree Tech, Inc. is a full service tree care company providing services year round since 1986. Our skilled arborists perform all aspects of tree and shrub care ranging from large, difficult tree removal to diagnosing and treating plant health problems. We are fully insured and guarantee a quality job every time at competitive prices. We take pride in customer satisfaction and our fast and friendly service. URBAN FORESTRY SOLUTIONS , INC.
Company Services: Arboriculture and urban forestry consulting. Including tree loss and damage appraisals, educational and safety programs, tree health and risk assessments, management and inventory programs, ornamental pruning and tree care services. MAA, ISA BMCA & RI Licensed Arborist, Member of ASCA, Member of TCIA.